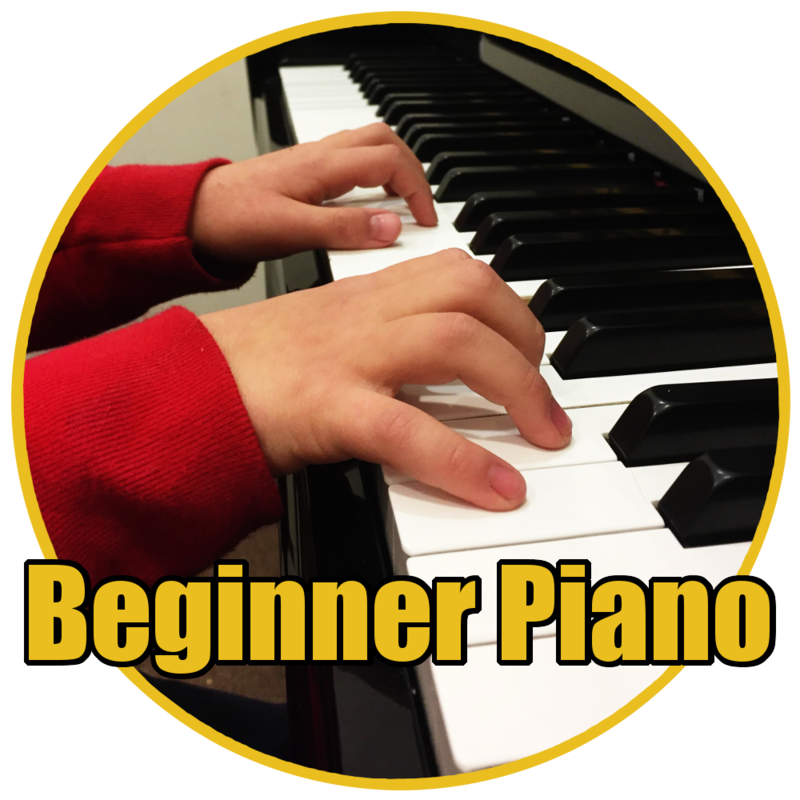 Our Beginner Piano class runs Monday-Friday from 1:30-2:30 pm on June 17-28. The class is for complete beginners who have never played and are interested in learning piano! There are only six slots available for this class. Get registered today before it sells out! 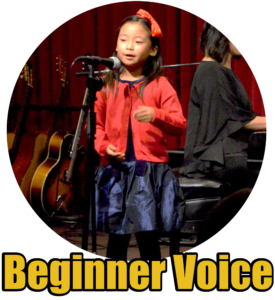 Our Beginner Voice class runs Monday-Friday from 1:30-2:30 pm on June 3-14. The class is for students with no previous experience. Participants will learn about proper breathing, posture and pitch development in a fun, interactive class. 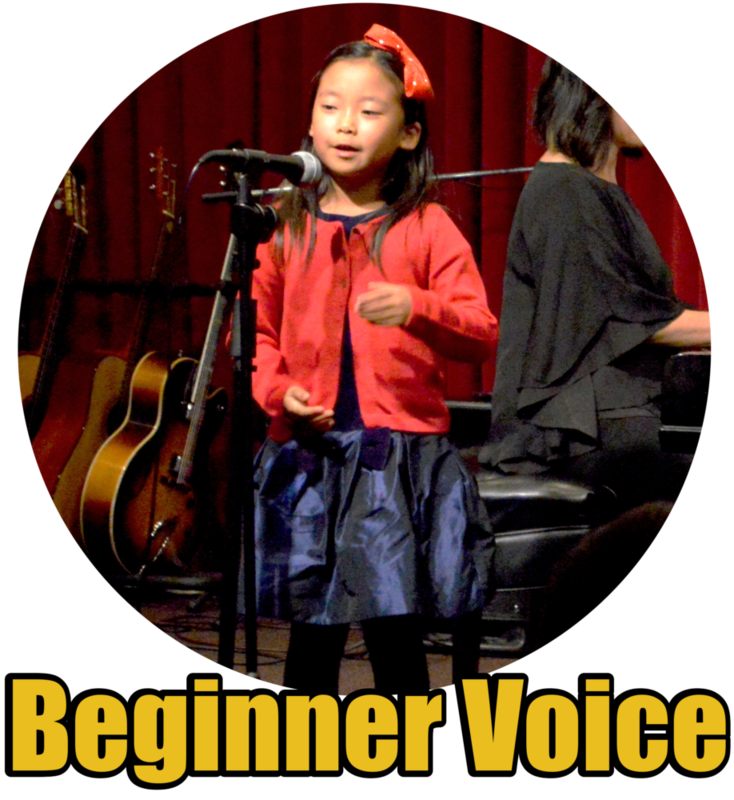 If your child has ever wanted to sing, this class is for him or her. Get registered today! Our Jazz Combo runs Monday-Friday from 1-2:30 pm from June 17-28. The class gives instrumentalists who play brass, woodwind, piano, guitar, bass guitar and drums the opportunity to learn and perform Jazz music! Students will learn the basics of Jazz theory and improvisation in a supportive environment. Get on board and and get grooving by registering today! Got a kid who wants to be a guitarist? This class will take her/him from zero to hero in two weeks! Our beginner guitar class aims to build a strong foundation by introducing students to chords, scales, technique and reading music notation for the instrument. Students will also be taught songs that showcase the guitar in rock and pop music. Don't have a guitar? Not a problem-students can borrow one for the class or can rent a guitar to take home with them for the course. Time to get ROCK'N! 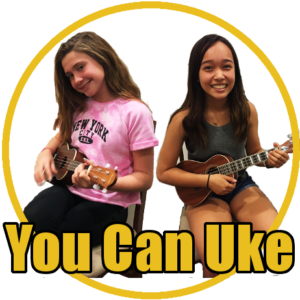 You Can Uke! is a beginner ukulele class. 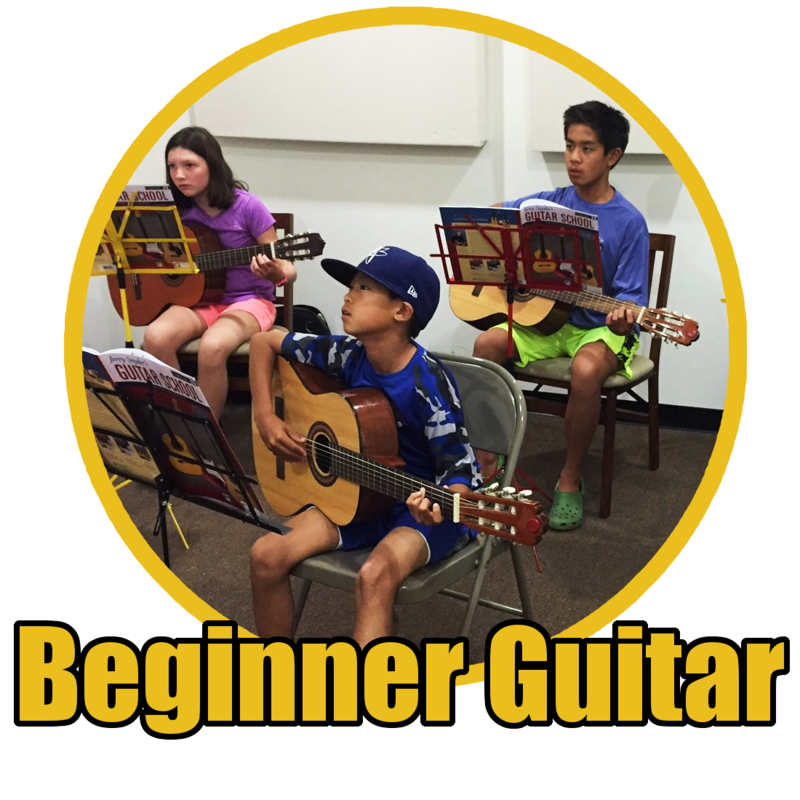 This week long camp will teach student the basics for playing this ever popular instrument. Topics covered include developing left & right hand technique, learning scales, chords and strumming patterns. These concepts will then be applied towards popular songs that use and showcase the ukulele! This instrument is synonymous with summer vacation and any student will enjoy learning to play the soundtrack to good times! Our Music Camp is back for three installments this Summer: June 12, July 17 & August 7. The camp runs from noon-3 pm and is for children ages 6-9 years old. The camp is organized by introducing students to different instruments for each hour the camp runs. Children will get hands on experience with ukulele, voice and drums! The goal is for campers to have fun, learn about music and spark love and affinity for an instrument. Get on board and register today! 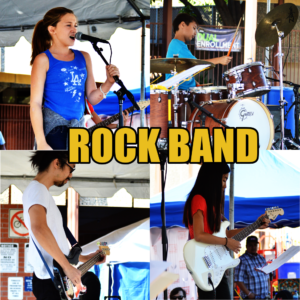 Rock Band is one of our most popular ensemble classes! We are offering a two week, 10 day summer intensive. The classes will run Monday-Friday beginning on July 22 and concluding on August 2nd. We are looking for vocalists, guitarists, bassists, drummers and pianists/keyboardists to form a group and cover Rock & Pop hits! Students should have at least 1-2 years of experience on their instruments. If you meet the criteria, get ready to ROCK!